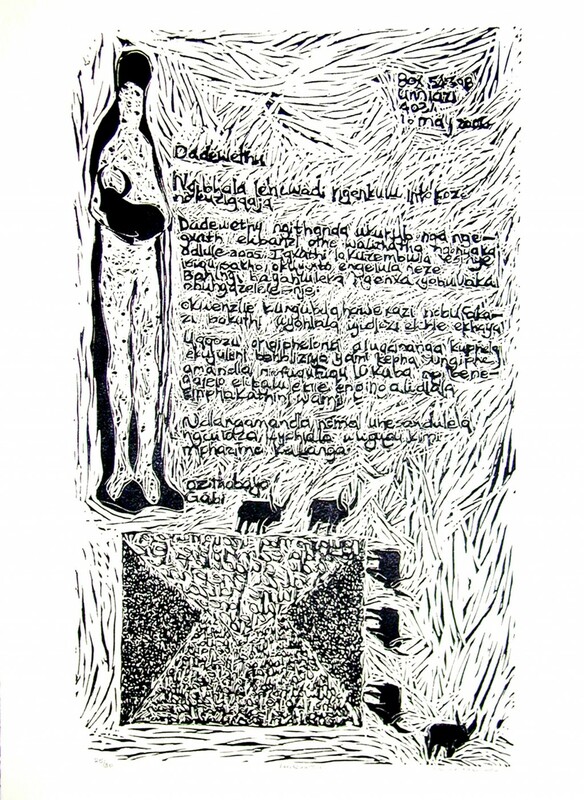 On May 10, 2006, Gabisile Nkosi (1974–2008) carved a letter addressed to her sister to create a black and white linocut, titled Dadewethu (My sister). In this letter Nkosi commends her older sister for her courage in disclosing her HIV status during a time when such disclosures were taboo and at times even deadly. In a hand-colored linocut titled Endlini yokulala yakithi (In Our Bedroom, 2001), Nkosi depicts a scene of several people sleeping in one bedroom. 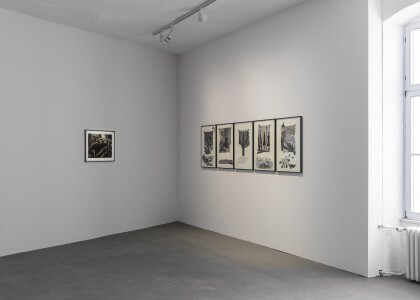 There is a tender calmness in how she treats this deeply personal account of her reality and that of many people living in the black townships of South Africa. 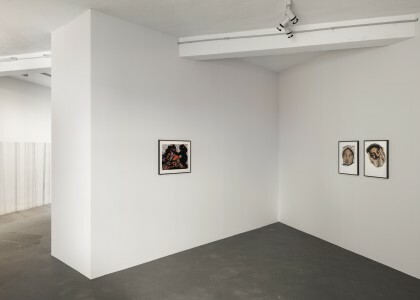 In contrast, the colored print ngesonto ekuseni (One Sunday Morning, 2001) shows a violent scene unfolding between two people, a man and a woman, Nkosi and her boyfriend, who ended up stabbing her in a later confrontation. The energy is lighter in Gida nami (2005), which loosely translates as “dance with me.” Two dancing women are positioned in front of a clothesline. The dance is a catharsis and an invitation into a space of healing and survival, letting go in order to become whole again.